Drowsy driving is a concern that often gets overlooked in all the media messages focused on driving while texting or under the influence. However, drowsy driving is just as dangerous, and largely preventable. Drowsy driving occurs when you fall asleep at the wheel or are so drowsy that your ability to operate a motor vehicle is compromised. If you are sleepy while driving, you lack the appropriate reaction time and judgment abilities necessary to make decisions in the moment when something goes wrong. It can happen to anyone, as well. Young or old. Male or female. In the city, in the country. 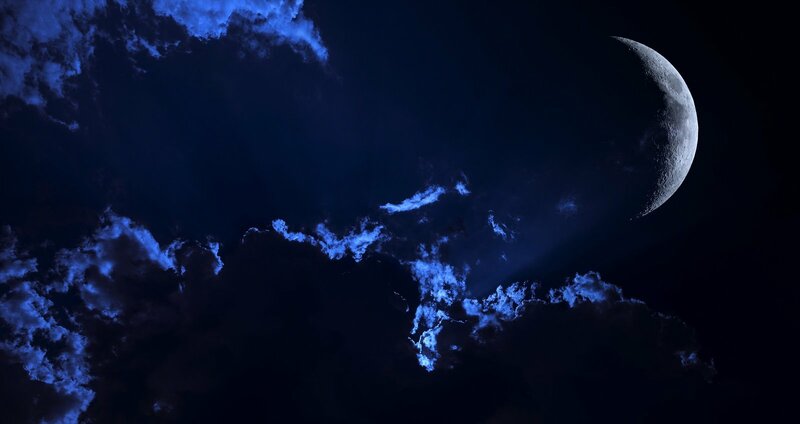 During the day, at night. And while most people think the idea of getting behind the wheel while fatigued is reckless and irresponsible, reports show that, nationwide, one third of all drivers have admitted to falling asleep at the wheel or driving while drowsy. Statistics are hard to nail down for drowsy driving, as law enforcement is often unable to correctly identify it as the cause of an accident. Each state has its own version of a drowsy driving law (often buried in a distracted driving law). However, as the dangers of drowsy driving continue to multiply, and awareness leads to more advocacy, more legislation at the state level is cropping up to help define drowsy driving and address ways to enforce the rules. Usually the driver will admit to having fallen asleep, or the absence of skidmarks and other key details about the driver (such as the fact they work graveyard shift) can bring the possibility to light. The National Highway Traffic Safety Administration (NHTSA) estimates that 100,000 accidents annually are the direct result of driving while sleepy. Current estimates from the NHTSA suggest that up to 20 percent of annual traffic deaths in the US are "attributable to driver drowsiness." They also report that between 2009 to 2013, over 72,000 police-reported crashes involved drowsy drivers, leading to injuries for over 40,000 and 800 fatalities. While anyone can fall asleep at the wheel, the Centers for Disease Control (CDC) identifies shift workers, drivers who suffer from untreated sleep disorders, and younger males as most at risk for becoming involved in drowsy driving accidents. The CDC also recognized that drowsy driving can be associated with other sleep-related concerns. People who report frequent insufficient sleep (less than six hours a night), people who snore, people who struggle to stay awake during the day all report drowsy driving more frequently than those who do not have these issues. Also, snoring itself has been independently associated with drowsy driving. As with every other state in the union, Kansas has its share of news reports about drowsy drivers and their impact on communities. In December 2015, K-99 was closed in both directions near Olpe in Lyon County for several hours after a Cottonwood Falls man fell asleep at the wheel and hit a utility pole. The power line, which was the main electricity feed for Westar and Lyon-Coffey residents, disrupted service as a result. No injuries were reported. Also last December, a 15-year-old behind the wheel of a car fell asleep and crashed in Reno County, sustaining injuries. In January of this year, a man fell asleep at the wheel while driving on K-96 near Hutchinson and rear-ended a pickup hauling a scissor lift. The driver's vehicle hit the trailer so hard it knocked it off the hitch and into the back of the truck. Though there were no fatalities or major injuries in this accident, the vehicles in the collision were considered a total loss. Just last week, a man was injured in Saline County while driving a pickup that was pulling a flatbed gooseneck trainer on I-135 near Mulberry Bridge. He fell asleep at the wheel, drove through the median, and hit the bridge rail. The man was hospitalized and the truck was heavily damaged. The most recent statistics on drowsy driving in Kansas come from the "State of the States" report on drowsy driving compiled in 2014 by the National Sleep Foundation (NSF). That report found that 3 percent of all Kansas drivers in the previous 30 days were likely to fall asleep at the wheel. Who really knows how many traffic fatalities in Kansas are caused by drowsy driving? That may not seem like a big number, but there are likely close to a million drivers in Kansas. Even conservatively speaking, 3 percent of all drivers is still somewhere between 15,000 and 30,000 sleepy drivers we could encounter in a month's time! Our state falls somewhere in the middle of averages when it comes to the prevalence of drowsy driving (Hawaii and Texas fall asleep at the wheel nearly twice as frequently, and Oregon and Tennessee ranked lowest at 2.5 percent). We should not take these statistics lightly. Private and commercial property and vehicle damage is expensive, nonfatal injuries can be serious enough to disable the drivers and their victims, and fatalities are more common than they should be. 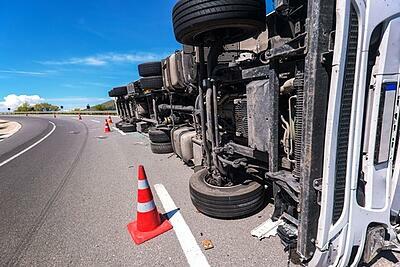 Especially of concern at the national level are safety risks associated with long-haul commercial truck drivers. They may suffer fatigue not only due to the nature of their work, but also because this population of workers also has a higher risk for sleep disorders, which could lead to daytime fatigue, if left untreated. 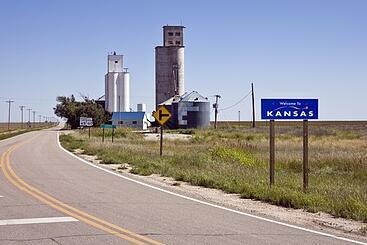 In the state of Kansas, there is no law against drowsy driving. 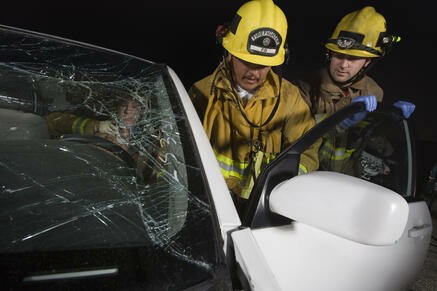 However, law enforcement does categorize it as a form of distracted driving, for which there are penalties. 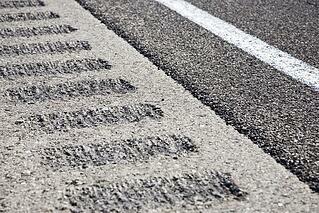 Charges would fall under "failure to maintain a single lane" or "reckless driving." Often, the big clue that a person in an off-the-road accident has fallen asleep at the wheel is the lack of skidmarks on the road prior to leaving the lane. If a fatality occurs, the highest criminal charge that can be sought is vehicular manslaughter. Licensing bureaus can place limits on drivers who have known medical conditions, but sleep disorders are not specifically indicated in those limitations. Doctors in the state of Kansas are not legally required to report people with sleep disorders who are at high risk for drowsy driving behaviors, though in other states, this is not the case. Did the driver fall asleep? Did the driver admit to not paying attention? Was there a medication present in the vehicle at the time? Might a medication be implicated as a contributing factor in the crash? Police officers are not trained to recognize fatigue in drivers. Drivers licensed in the state of Kansas are not mandated to study the risks of drowsy driving in order to get a license (though there is information on driving distracted in the learner's manual). 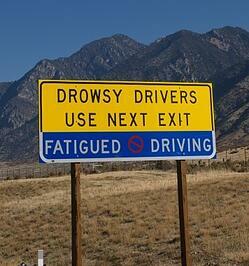 How do you know if you're too drowsy to drive? Ultimately, we are still our own best judges about whether we should get behind the wheel of a car if we are experiencing sleepiness, fatigue, or drowsiness of any kind, which means we need to be talking frankly to ourselves about our current sleep health. 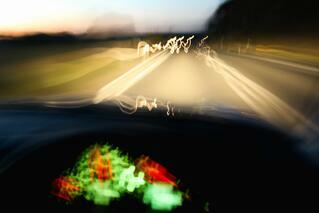 Why do we drive drowsy? The main reason? Sleep deprivation. Simply put, we're not getting enough sleep. That makes us drowsy during the day (even if we drink pots and pots of coffee). We don't always recognize when our alertness is impaired by sleep debt or deprivation. That is why the most obvious way to avoid drowsy driving is to do more than just "not drive while drowsy." In short, you need to get adequate sleep. If you aren't, it's time to make sleep a priority. It is better to never be drowsy during the day. If you experience daytime fatigue, sleepiness, or drowsiness on a regular basis, these are warning signs that you might have an undetected sleep disorder. 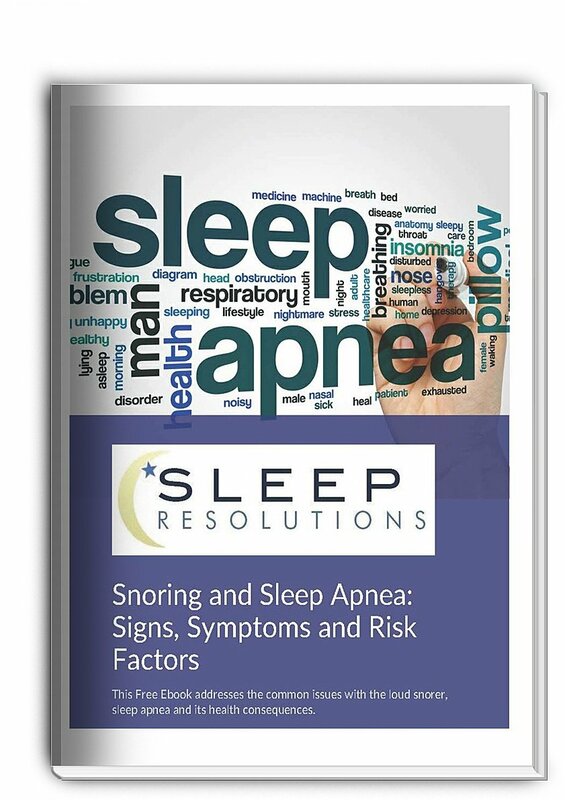 The most common sleep disorders that can lead to problems with drowsy driving include obstructive sleep apnea (OSA), restless leg syndrome (RLS), and insomnia. If we shortchange ourselves of sleep, night after night, we are setting ourselves up for health problems down the line as well as increasing our risk of becoming a part of these drowsy driving statistics. These tips come from the AAA Foundation for Traffic Safety. If you're sleepy, pull off to the side of the road or onto a safe area away from traffic and rest until you are alert. Make sure to get at least 7 hours of sleep the night prior to driving long distances. "Take a break" rule: pull over every 100 miles or every hour to combat drowsiness. Avoid eating heavy meals before a long road trip. Travel with a passenger to keep you awake and to help alternate with driving. Start your road trip when you know you will be the most alert . Avoid taking medications that impair alertness or cause sleepiness when you know you are going to drive. "I can tell when I'm falling asleep." Actually, sleep deprivation makes it harder to know if you're actually sleepy because you've been sleepy for so long it has become your "new normal." People who are sleep deprived frequently experience instantaneous moments where the brain shuts down into sleep. These "microsleeps" can lead to car accidents in a heartbeat. "Coffee overcomes the effects of drowsiness while driving." Coffee does not cure sleep deprivation, it only masks it. After the effects of caffeine wear off, there is a "caffeine crash" that may lead to an actual crash. "Young people need less sleep." 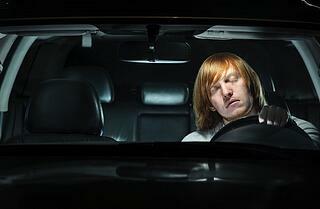 Young drivers (ages 15 to 19) need as much sleep as adults of all other ages. What's more, this group of drivers is considered to be among the most sleep deprived. "I'm a safe driver, so it doesn't matter if I'm sleepy." That's what a drunk driver might say, or a driver who thinks nothing of texting while behind the wheel. Sleepiness can quickly ruin a perfect driving record. Your ability to react quickly, make critical judgment calls, and control your vehicle are all affected by sleep deprivation. "I get plenty of sleep." Maybe you do, maybe you don't. Sometimes people who think they sleep 8 hours a night are actually only getting 6 or less quality hours. It's hard to know how well you sleep except by noting other symptoms during the day, including excessive daytime sleepiness, cognitive dysfunction, morning headaches, and other signs of an undiagnosed sleep disorder. PSA Kansas also has a simple drowsy driving quiz you can take to see how much you know about the problem and whether you might be at risk for this dangerous behavior. Here at Sleep Resolutions, we are poised to help you resolve your sleep issues so you can drive safely on Kansas highways and byways. Please don't hesitate to call us if you've experienced problems with falling asleep at the wheel or driving while fatigued. We are here to help keep you safe!